HissenIT recently released CrococryptLib for Java: A library for Java back-end, desktop and mobile applications that allows the most easiest integration of encryption and other cryptography operations. No in-depth cryptography knowledge is required to integrate encryption into enterprise applications or software products. The enterprise license allows unlimited distribution by the licensing organization. Instead of purchasing expert knowledge, CrococryptLib enables Java or JEE developers to directly integrate strong symmetric encryption and password hashing into applications. This saves a huge amount of budget and development time. 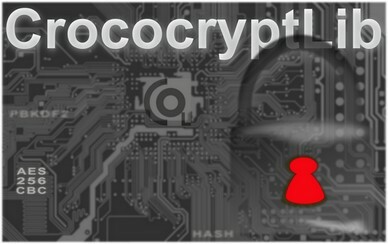 CrococryptLib uses industry standards and the powerful technology of the Java Cryptography Extension underneath. The trial SDK requires no registration and contains running examples which can be used to directly integrate similar components into own software.